When it comes to criticism, giving is more fulfilling than receiving. The giver in question could be your manager who shot down your creative marketing idea or your child who dissed a recipe you tried or a friend who openly criticized your choice of attire. Suffice to say that we’ve all had our share of criticism and had to swallow either our pride or the acidic words or both, in the aftermath of a bitter session of ‘unfair or destructive criticism’. The saddest part is that people know criticism won’t work and yet they criticize. So why do they criticize anyway? 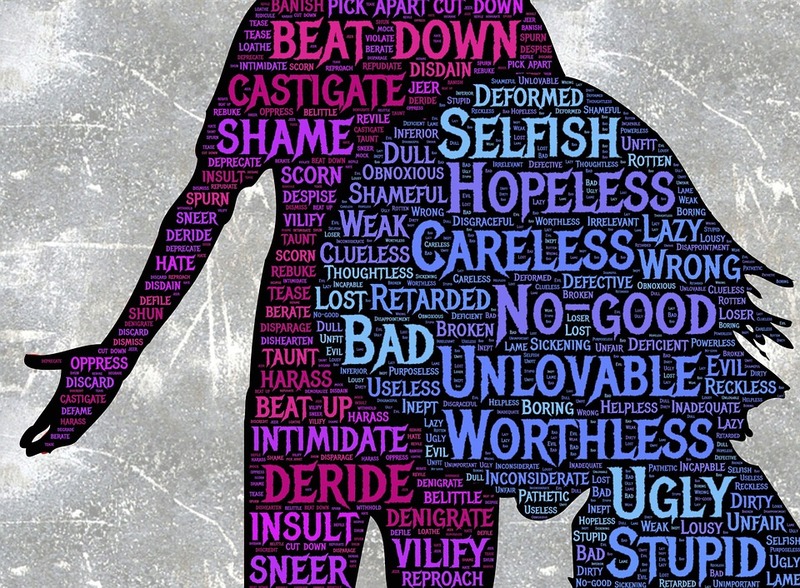 Studies reveal that people with low esteem are 80% more likely to criticize others or put them down so they can feel better, tougher, smarter themselves. Humans are vile, I tell you! Standard reactions to a strong dose of ‘uncalled for’ criticism could vary from tightly pursed lips to a flushed face, to a pounding heart to (insert your choice of reaction here). The diplomatic ones amongst us just choose to grin and bear. But how does one actually deal with unfair criticism? Is there a Criticism Management 101? Here are a few tips to tame the fire dragon. 1. Don’t pounce - Listen attentively to what your critic has to say without planning your reply. Wait patiently so you are calm and composed when replying. - To borrow an expression from football, that’s a self-goal. Counter-criticism is worse. You could get personal without realizing and thus lose your credibility. - Accept the criticism positively even if it is given out of spite. That can upset your critic very much. Mission accomplished. - If you’ve genuinely made a mistake, apologize. Take the high road and earn respect for your integrity and professionalism. 5. Seek the root cause. 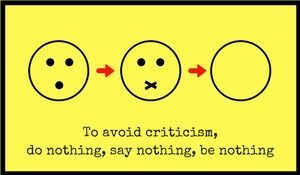 Criticism has it's role in our lives, so don't avoid it completely. But see how you can use constructive criticism to improve yourself. Instead of assuming the cause for unfair criticism, ask relevant questions that help you probe the real reason. Ask them why they feel it’s important for them, what is its impact on the project/company, how to improve the situation going forward, etc. Revisit the conversation. Promise yourself to revisit the conversation after 48 hours. Tell the critic that you’re happy you had had this conversation and that you will think about it. Feedback, opinion, suggestion or plain old judgment – no matter what it is called, criticism, and more specifically ‘unfair criticism’, makes way into our lives more often than we’d like it to. Gibran said, “To belittle, you have to be little”. That’s pretty much the long and short of criticism. So the next time someone criticizes you unnecessarily, use your brain’s internal VFX technology to ‘shrink’ the person to a speck of dust and blow him away! On a more serious note, instead of letting the negativity of such criticism get the better of us, we could deal with the situation with a cool head and a diplomatic hand, and turn it into a less unpleasant experience. And what’s more, you could walk away with some brownie points for your level-headedness, sense of rationale and professionalism. How is that for turning the tables? Madhuri Keta is an independent content strategist and Marcom specialist. She is a certified web content developer and a trained SEO content writer who has also pursued certifications in Business Communications and Digital Marketing. 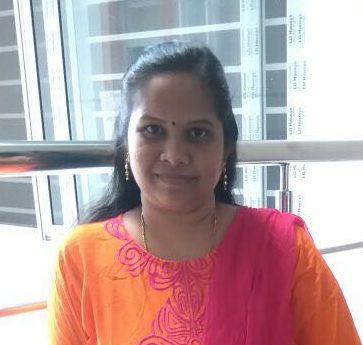 She has developed content for top IT players.